Our manufacturing excellence stems from the ease with which we manage complex operations, resulting in a unique combination of size and agility. This enables us to meet the needs of over 3000 local and multinational clients with ease. We've pioneered cutting-edge technologies like automatic blending which require minimum human intervention, ensuring that formulae and trade secrets remain confidential. We've also achieved significant backward integration capabilities in our fragrances division. We manufacture both fragrances and the aroma ingredients that go into them. This allows us substantial flexibility in effectively responding to changes in demand. Our manufacturing facilities are spread across Vashivali, Vapi and Mulund in India, and Barneveld in the Netherlands. This gives us equal access to both developed and emerging markets. Our advanced planning techniques and variable capacities also enable us to shift products and ramp up operations easily. Our clients find our agility and flexibility indispensable in their supply chains, as it allows them to act effectively against unforeseen circumstances. Seldom are manufacturing processes of fragrances, flavours and aroma ingredients simple. Each product is unique and comes with its own set of challenges. But we ensure that they meet global QC standards at every stage. All our fragrances are also compliant with global regulatory standards, while our flavours adhere to certifications issued by the FSSC, the FSSAI and other regulatory bodies. Our highly-equipped flavour testing laboratories include, Gas Chromatographs (GCs), Density meters, Automatic Polarimeters, Tintometers, Flash-point testers and Microbiological testing. Our R&D Centre's vision is "to strive for development of quality flavour & fragrance aroma ingredients". 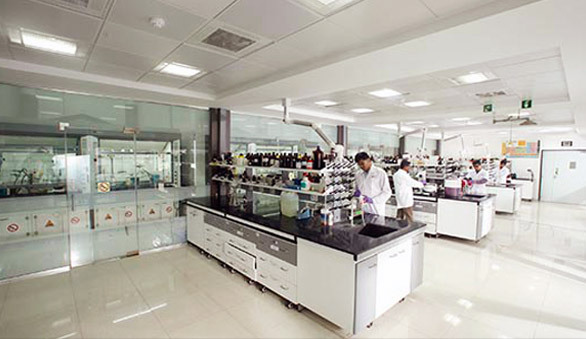 Our two R&D centres - in Mumbai, India and PfW Aroma Chemicals Barneveld, Netherlands are dedicated to discovering and developing new aroma products and processes in order to cater to demands of domestic as well as global customers. Our team, comprising of qualified scientists and chemists, have proven expertise in developing new products of desired specifications and olfactory note. Our advanced facilities enable us to work on discovery as well as development projects, i.e. from basic research to commercial scale to drive quality and cost optimization. The team also supports on-going plant production, trouble shooting and vendor development. However, our priority continues to be carrying out work in an efficient, safe and environmentally friendly manner. 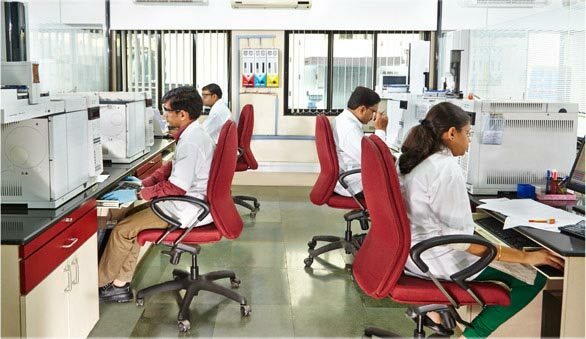 The Mulund R&D facility has been recognized as an approved "In-house R&D" by the Department of Scientific and Industrial Research, Ministry of Science and Technology, Government of India.